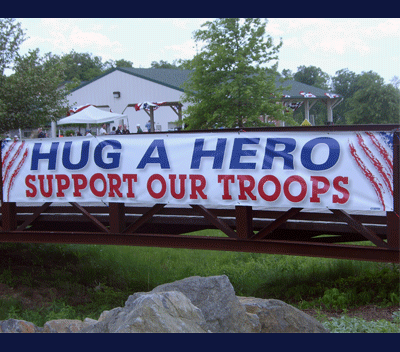 Hero Banner : Vinyl Banner with Digitally Printed Graphics. 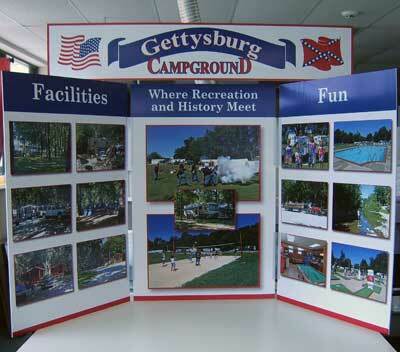 Gettysburg Campground Display : Digitally Printed photo reproduction on folding table top display. 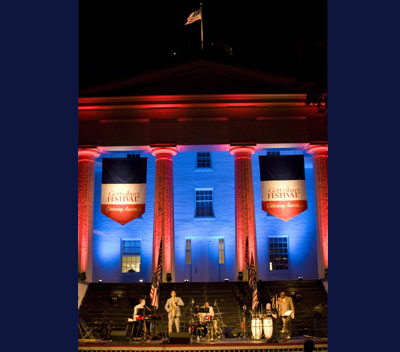 Gettysburg Festival Main Stage: Vinyl Banners with Logo.